BarnDoor Lighting offers a great selection of audio powering solutions at competitive prices to help you with common sound powering applications. 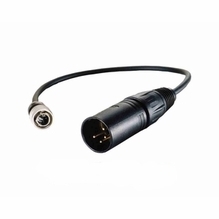 We feature several components from the reliable Cable Techniques brand of location audio power solutions, including distribution boxes, batteries, splitters, cables and other essential power supplies to ensure smooth on-location powering for soundmen and other audio professionals. 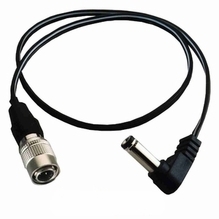 Check out our selection of adapters and cables for easily connecting multiple devices to a single power source. 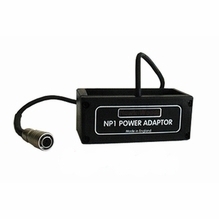 Need DC power for multiple devices? 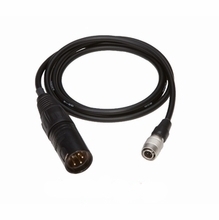 The Cable Techniques Battery Bud is the perfect solution. 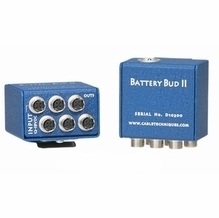 This compact distribution box provides DC battery power from one source to multiple sound devices, such as your wireless mics, mixers and phantom powered mics. The compact design reduce space in your bag and helps keep everything neat and organized. BarnDoor Lighting is always on hand via phone (1-888-276-3667) or e-mail (info@barndoorlighting.com) to assist with your sound powering needs.